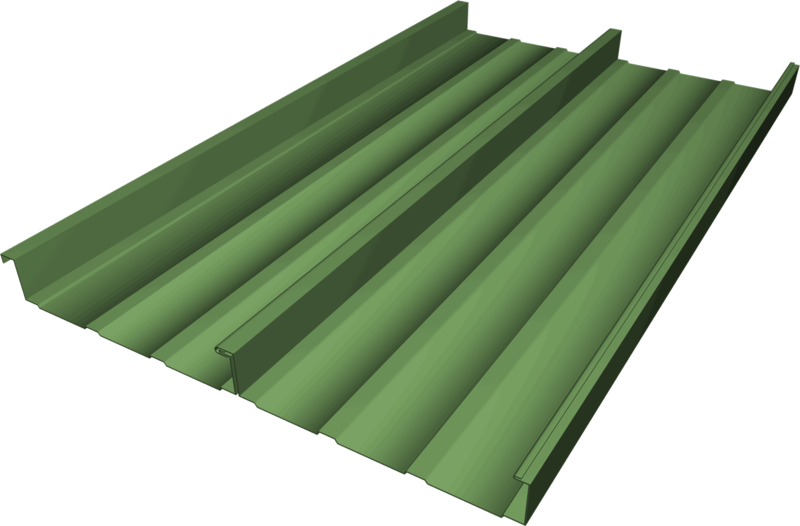 The Flexospan Standing Seam Roofing Panel 316 is a straight-sided, non-trapezoidal panel that's simple to install and flash. It's best suited to roofs with continuous transitions or mansards and for light industrial and commercial-grade applications. It has a 3"-deep seam and an overall coverage of 16 inches, with stiffening ribs as standard. The FSS-316 can also be rollformed on the job site, eliminating endlapping and shipping problems. The FSS-316 has been UL 90 tested.Contact Flexospan for further data.